Bastian Barnbeck is a 30 year old German national and the founder of Waved Charity Surfing. While Bastian only learned to surf 6 months ago, he enjoyed riding waves so much that he began to think about how to combine surf with another passion of his, volunteering. 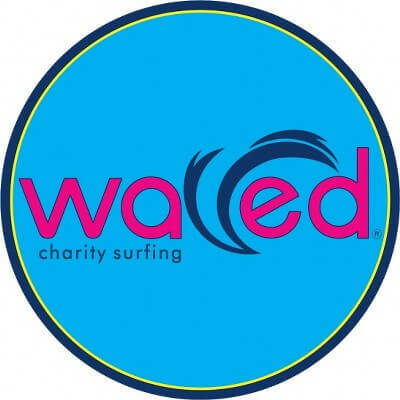 So he created Waved Charity Surfing! Waved is a program that aims to help children in Panama further their education by offering local schools additional funding and support. Bastian is calling on individuals and businesses to donate 1 US dollar per wave he surfs. Of course larger donations are also welcomed. The money will go to fix up the Pablo Ballesteros school in Pedasi. Waved Charity Surfing has received official support from the Panamanian government, and the opportunity to work along side the educational program called ’My First School'. Tomorrow morning (Friday, February 12) Bastian will meet with government representatives to visit Pablo Ballesteros in Pedasi, the first school that will receive support from the Waved Charity Surfing program. This local school works to educate 180 young students. It is Bastian’s goal to raise the money needed to paint, fix bathrooms, install water supplies etc., though surfing. While he encourages individuals and businesses to donate 1 US dollar per wave he surfs, he also seeks to connect with surf brands and schools for additional support. Once enough money is collected to fund a specific project, the total will be used to buy the supplies and pay for labor. Rather than handing the money over, the foundation aims to stay close to the project ensuring the money is used effectively.